The SMOK Nord Pod with 3ml/2ml capacity is boviously designed for SMOK Nord Pod kit. Get it now. The SMOK Nord Pod with 3ml/2ml capacity is obviously designed for SMOK Nord Pod kit. 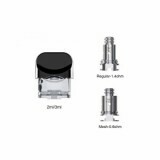 Its package comes with a 0.6ohm mesh coil for sub ohm vaping and a 1.40ohm regular coil for MTL vaping, everything you need to replace the tank. Get it now. • No e-juice. You shall purchase it separately. • BuyBst also sells SMOK Nord Pod Starter Kit and SMOK Nord Replacement Coil. • Please note that the coil has been not pre-installed. A must have for Smok Nord users. You can easily bring two pods when travelling without the hassle of bringing the juice, especially those that are made from glass or 100ml bottle. The package also includes 0.6 Mesh & 1.4 Reg coils. Excellent!!! Great product!!! Great service!!! Fast shipping to my country!!! Thanks Buybest!!! Am going to order again VERY SOON...!!! Cheers!!! 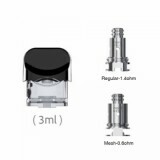 Authentic smok pod, I have ordered here many times. SMOK Nord Replacement Pod with Coils is specially designed for the Nord Starter Kit. 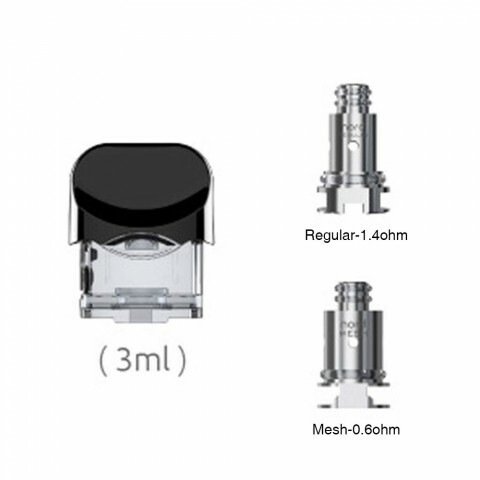 It comes with 3ml capacity with easy side filling system. The package includes two coils: Nord 0.6ohm mesh coil and 1.4ohm regular. smok pod replacement coil, is a nice item that anybody at all can use it, its easy to use, convineint at anytime I love this product and I thank buy best for releasing such a product.